The concluding chapters of the book of Alma (Alma 60–61) include a series of letters written between Moroni and the chief judge Pahoran. The catalyst for this exchange was a Lamanite victory in taking the city of Nephihah: “And thus being exceedingly numerous, yea, and receiving strength from day to day, by the command of Ammoron they came forth against the people of Nephihah, and they did begin to slay them with an exceedingly great slaughter” (Alma 59:7). The Nephite response to this attack was anything but positive. “They doubted and marveled also because of the wickedness of the people, and this because of the success of the Lamanites over them” (Alma 59:12). Moroni angrily wrote to Pahoran demanding help with the war effort (Alma 60:24–25). Believing that Pahoran was abandoning his duty to both God and the Nephite cause (vv. 20–23), Moroni threatened, “Except ye do bestir yourselves in the defence of your country and your little ones, the sword of justice doth hang over you; yea, and it shall fall upon you and visit you even to your utter destruction” (v. 29). Pahoran’s response to Moroni is somewhat startling. After clarifying that an attempted coup had forced the government into exile (Alma 61:3–5), the Nephite chief judge replied, “And now, in your epistle you have censured me, but it mattereth not; I am not angry, but do rejoice in the greatness of your heart” (v. 9). Instead of becoming defensive, Pahoran deferred to Moroni’s emotional outburst. “My beloved brother, Moroni,” Pahoran resolved, “let us resist evil, and whatsoever evil we cannot resist with our words, yea, such as rebellions and dissensions, let us resist them with our swords, that we may retain our freedom, that we may rejoice in the great privilege of our church, and in the cause of our Redeemer and our God” (Alma 61:14). Instead of firing back at Moroni for assuming the worst in him, Pahoran calmly explained the situation and urged for continued resistance against both domestic and foreign threats to Nephite freedom. That Mormon preserved Moroni’s letter to Pahoran in his abridgment is remarkable. It shows a level of honesty on Mormon’s part, since he was willing to include information that portrayed Moroni, one of his heroes (Alma 48:17), in an unflattering light. Readers can learn an important lesson from Moroni’s shortcoming. Moroni’s anxieties and frustrations were undoubtedly real. 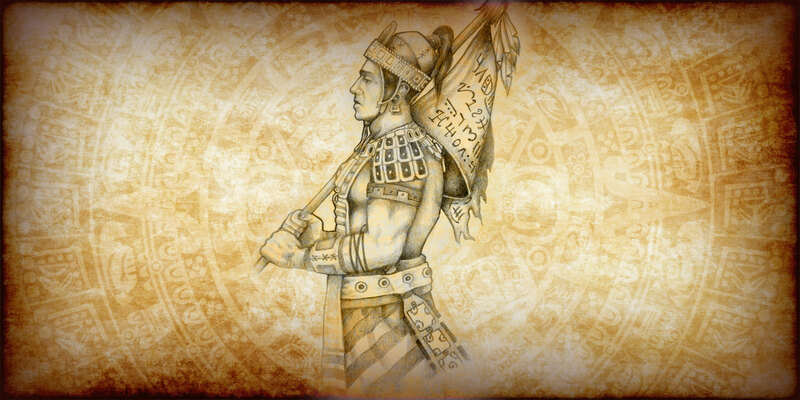 He and his army were facing serious Lamanite threats, and no assistance from the government was forthcoming. Nevertheless, he might have benefited from giving Pahoran the benefit of the doubt and being careful not to jump to hasty conclusions or pass unwarranted judgment. His example cautions readers to be careful not to allow anger, doubt, or uncertainties to create a negative influence. As President Dieter F. Uchtdorf taught, “Sometimes questions arise because we simply don’t have all the information and we just need a bit more patience. When the entire truth is eventually known, things that didn’t make sense to us before will be resolved to our satisfaction.” President Uchtdorf accordingly recommended to “first doubt your doubts before you doubt your faith.” While President Uchtdorf was speaking specifically about those who question their testimonies of the gospel, his counsel can be applied to other areas, such as when doubting someone’s sincerity or intentions, as in Moroni’s case. Also setting an important example for modern readers, ultimately Moroni reconciled with Pahoran, and “was filled with exceedingly great joy because of the faithfulness” of the chief judge (Alma 62:1). The two eventually put the entire misunderstanding behind them and united their forces in a successful bid to restore Pahoran to the judgment seat (vv. 6–8). Robert F. Smith, “Epistolary Form in the Book of Mormon,” FARMS Review 22, no. 2 (2010): 125–35. Larry W. Tippetts, “Toward Emotional Maturity: Insights from the Book of Mormon,” in Religious Educator 11, no. 2 (2010): 89–103. Robert F. Smith, “Epistolary Form in the Book of Mormon,” FARMS Review 22, no. 2 (2010): 127. Larry W. Tippetts, “Toward Emotional Maturity: Insights from the Book of Mormon,” Religious Educator 11, no. 2 (2010): 96. See Book of Mormon Central, “Why Did Mormon See Captain Moroni as a Hero? (Alma 48:17),” KnoWhy 155 (August 1, 2016). Dieter F. Uchtdorf, “Come, Join with Us,” Ensign, November 2013, 22–23.